﻿ U. S. Grant Boyhood Home - Ohio. Find It Here. The Grant Boyhood Home in Georgetown was the home of Ulysses S. Grant, 18th president of the United States, from 1823, when Grant was one year old, until 1839, when he left to attend West Point. Ulysses Grant lived in this home longer than any other during his lifetime. 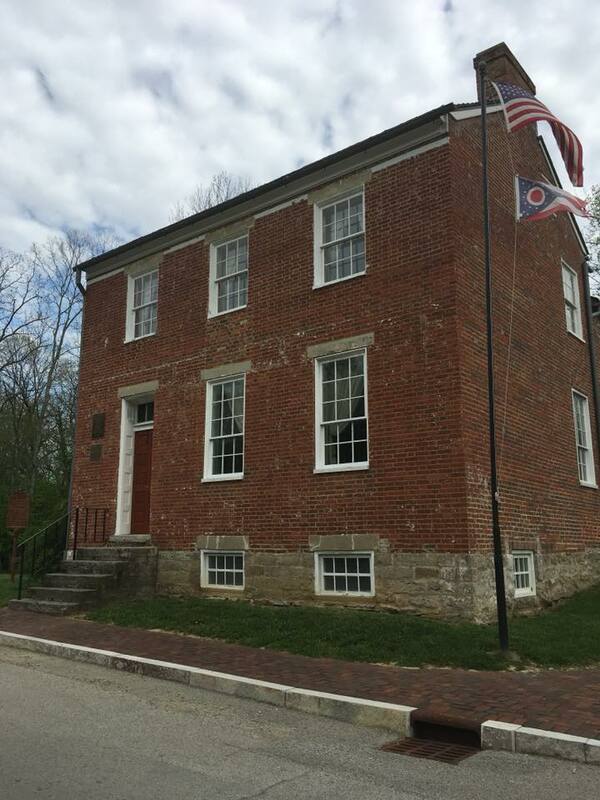 Jesse and Hanna Grant, the parents of young Hiram Ulysses Grant, built the original two-story brick section of the Grant Boyhood home in 1823, when they moved to Georgetown from Point Pleasant in Clermont County, where Ulysses had been born the year before. A large kitchen was added the following year and five years later they built a new two-story home connected to the front of the original structure. Ulysses lived with his parents and four siblings at the home until 1839 when he left to attend West Point. It was at West Point that, through a bureaucratic error, his name was listed as Ulysses Simpson Grant. During his youth in Georgetown, Grant attended school, worked in his father's tannery, and spent hour upon hour in his favorite pastime - working with horses. A Georgetown couple purchased the Grant Boyhood Home in 1977 to prevent its demolition. The home was restored and furnished, with one room which is dedicated to Grant and Georgetown memorabilia. The site has been open since 1982 when it was put on the National Register and declared a National Historic Landmark.